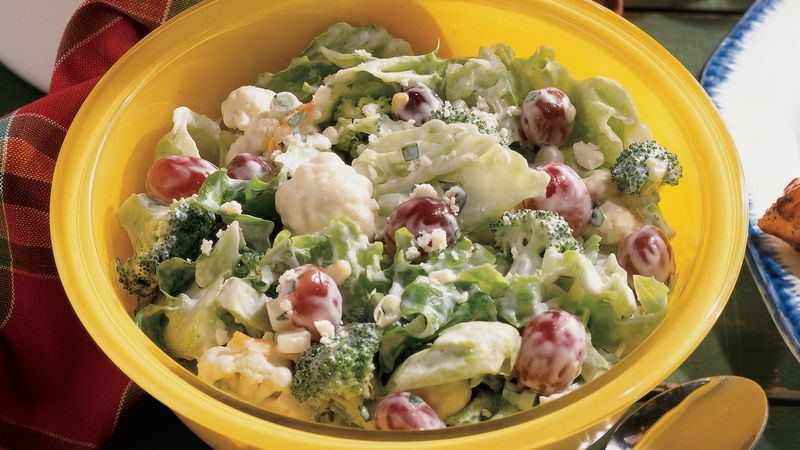 In 3-quart serving bowl, layer all salad ingredients. In small bowl, combine mayonnaise, sour cream and marmalade; blend well. Spread dressing evenly over salad. Sprinkle with cheese and basil. Cover; refrigerate at least 2 hours or overnight. Just before serving, toss salad gently to mix.